Grey, high polymer modified, cement-based tile adhesive, suitable for fixing tiles & natural stones & Vitrified tiles in interior and exterior situations. 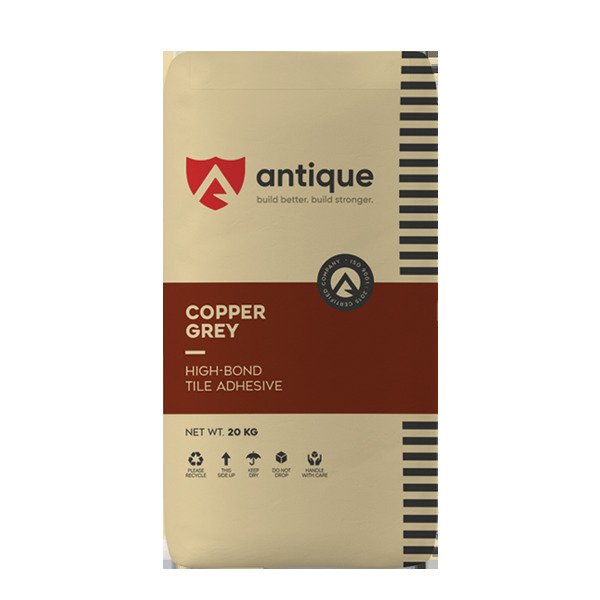 Applications in difficult and demanding situations consult Antique regarding use of a higher performance adhesive. Shelf life is 12 months from the date of manufacturing in unopened condition. Store in a cool & dry place. This will depend on the nature and lateness of the surface and the method of application, but at 3mm thickness it is approx. 55-60 sq. ft. per 20kg bag when using a thin-bed trowel. For good coverage, it is vitally important that all surfaces should be clean, smooth, plumb, level and free from defects and undulations. Grey, high polymer modified, cement-based tile adhesive, suitable for fixing tiles & natural stones & Vitrified tiles in interior and exterior situations. 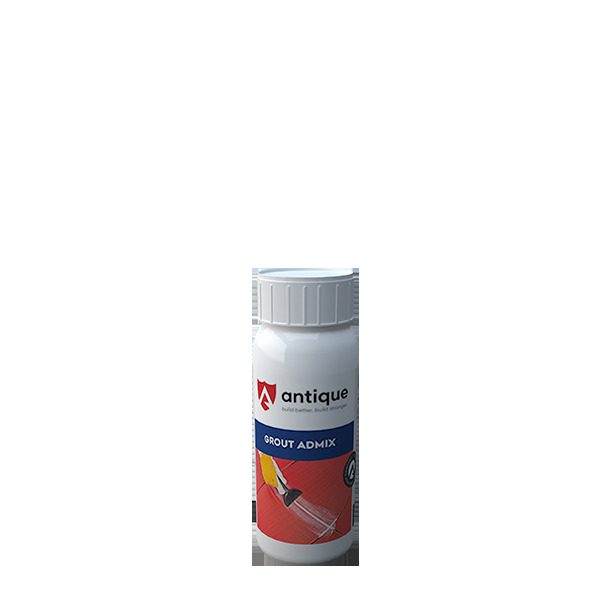 Applications and more difficult and demanding situations consult Antique regarding use of higher performance adhesive. Golden high polymer modified, cement-based wall and floor tile adhesive. Suitable for fixing tiles and natural stones in interior and exterior situations, including swimming pools. For Fixing Tile on Tile. 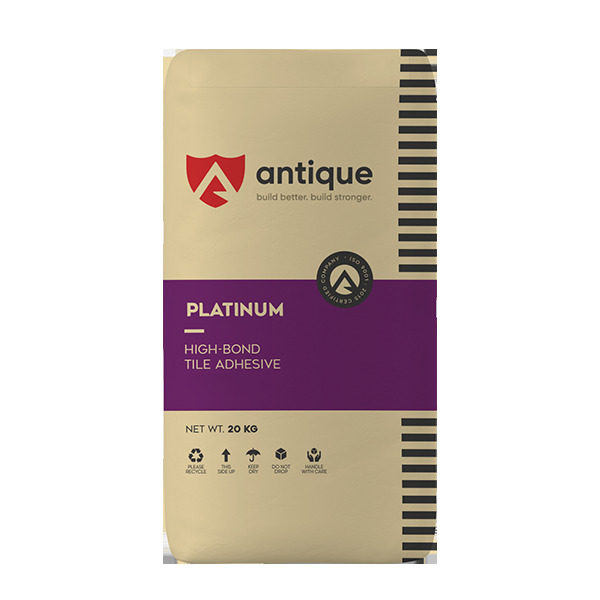 Platinum White is a premium, water & frost resistant, highly polymer modified cementitious wall and floor tile adhesive specially formulated for fixing mosaic tiles ceramic, glass mosaic. it is also suitable for fixing ceramic,vitrified wall and floor tiles, metal or glass tiles, marble, granite, Quartz Stone, terrazzo and other natural stone in interior and exterior locations. Suitable for use in swimming pools. For Fixing Tile on Tile & Stone. This will depend on the nature and letness of the surface and the method of application, but at 3mm thickness it is approx. 55-60 sq. ft. per 20kg bag when using a thin-bed trowel. For good coverage, it is vitally important that all surfaces should be clean, smooth, plumb, level and free from defects and undulations. It is a factory prepared blend of carefully selected raw materials, Portland cement and graded aggregates and polymers. Designed for use with water to produce high strength thixotropic mortar, for laying aerated light weight concrete, fly ash bricks, cement hollow blocks, cellular concrete blocks or smoothing over the block work surface in layers of up to 12mm thickness, that meet and exceed the requirements of National and International Standards. For interior and exterior use for preparing thin bed block mortar for ALC and cellular concrete blocks. Approximately 300 sq.ft. per 50 kg bag when used at 2mm bed thickness. Coverage is based on smoothness and evenness of the substrate, size of blocks used and the thickness of mortar used. A general guideline for coverage of mortar is given when used with 25% water added to powder. White two-part adhesive comprising of rubber-based powder and water-based liquid. 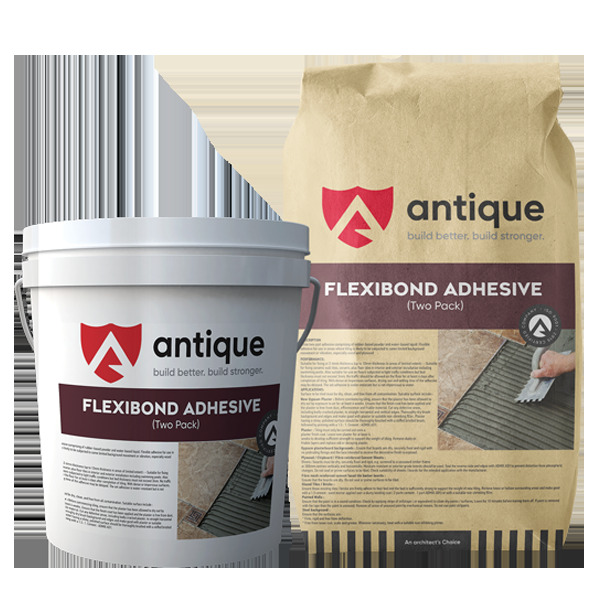 Flexible adhesive for use in areas where tiling is likely to be subjected to some limited background movement or vibration, especially wood and plywood. Suitable for fixing at 2-6mm thickness (up to 12mm thickness in areas of limited extent):- Suitable for fixing ceramic wall tiles, ceramic also floor tiles in interior and exterior installation including swimming pools. Also suitable for use on floors traffic should be allowed on the floor for at least 4 days after completion of tiling. With dense or impervious surfaces, drying-out and setting time of the adhesive may be delayed. The set adhesive is water-resistant but is not impervious to water. Surface to be tiled must be dry, clean, and free from all contamination. 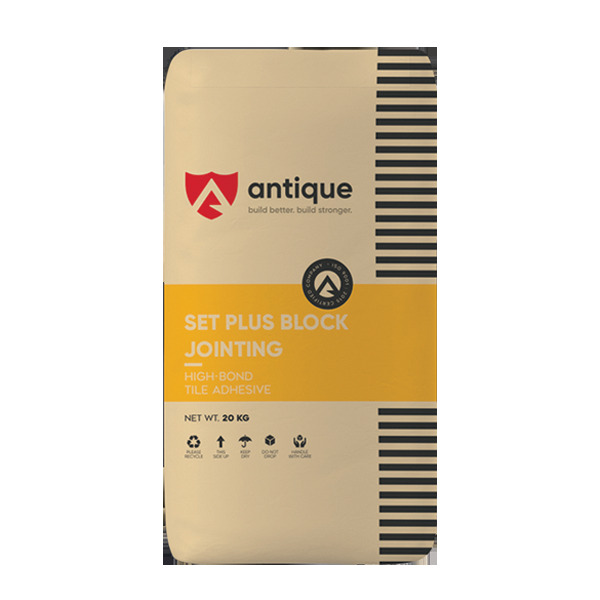 Mix together FLEX Liquid with Antique Flexi Bond Powder in the proportions supplied I.E. 5 liters of liquid to 10kg of powder. Depends on the nature and flatness of the surface and the method of application, but at 3mm thickness it is approximately 6m(2) per 10kg powder and 5 liters liquid when using notched trowel and 4m(2) per 10kg powder and 5 liters liquid when using a solid-bed trowel. For good coverage, it is vitally important that all surface should be clean, smooth, plumb, level and free from defects and undulations. 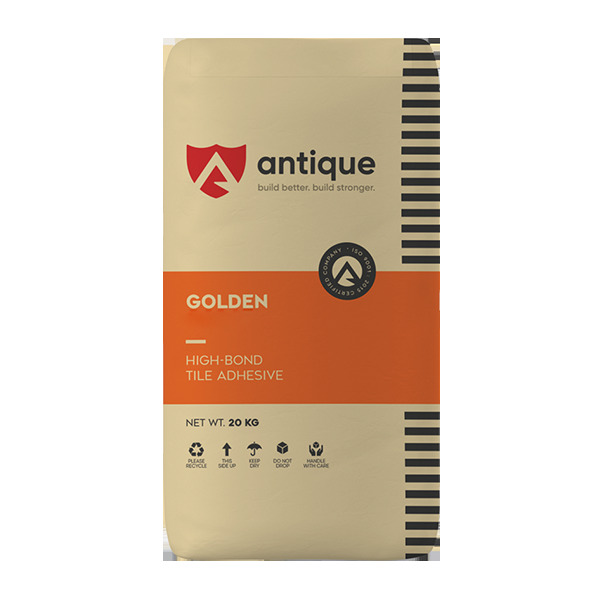 A high quality fine, high-polymer modified, high performance GOLDEN GROUT with excellent water-resistance and efflorescence resistance designed for grouting glazed tiles / mosaics, vitrified and fully vitrified tiles, ceramic tiles, industrial tiles, granites, marbles & other natural stones etc. 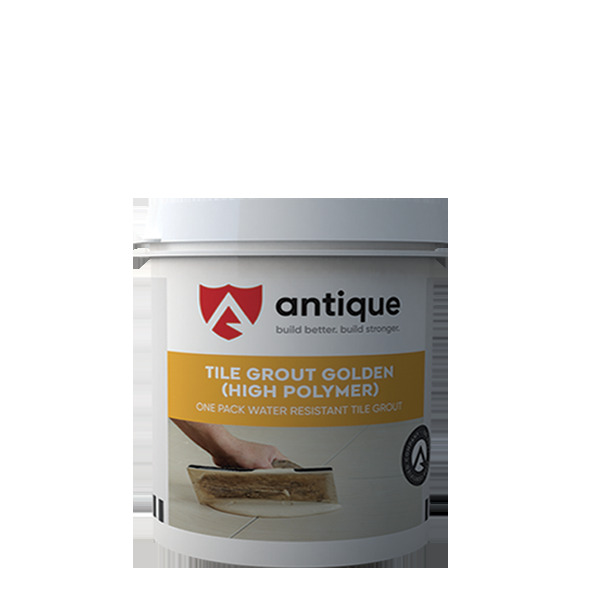 GOLDEN GROUT has higher strength, water and stain resistant compared to normal cement Grout. Hygienic, hard-wearing, impervious, epoxide resin-based grout with a high degree of resistance to chemical attack, abrasion and impact. 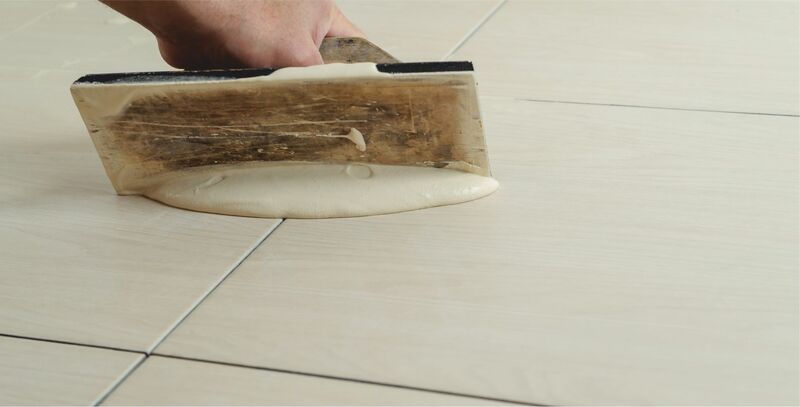 The cured grout does not transfer taints to foodstuffs, does not permit the entry of bacteria or dirt and is easily maintained in a sterile condition. 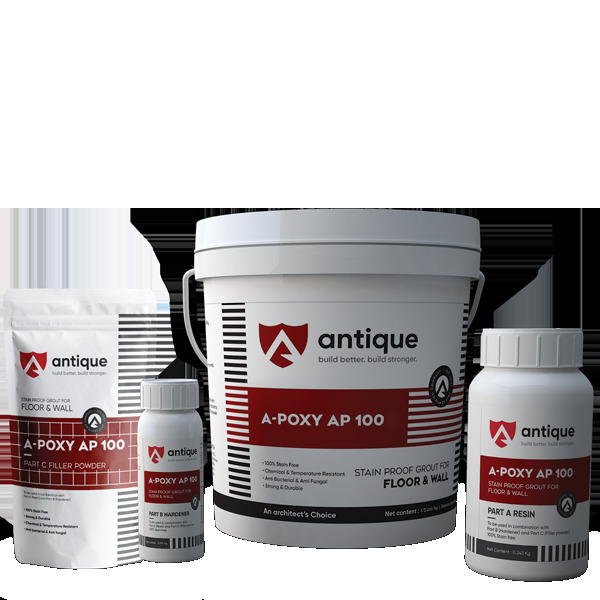 Antique Cem Bond is specially formulated integral liquid waterproofing compound composed of surface active Plasticising agents, polymers & additives. It is used as an additive for cement concrete, mortar & plasters. It makes concrete cohesive and prevents segregation. ► Charge cement & aggregates to concrete mixer as per the mix design, mix in dry state for 1-2 minutes. ► Start addition of 75-80% mixing water & mix for 2-3 minutes. 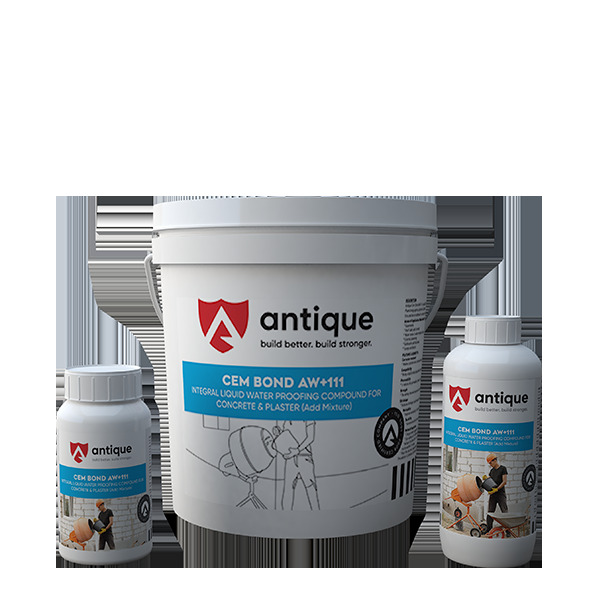 ► Antique Cem Bond /Super Bond is added as per the recommended dosage into the remaining mixing / gauging water, then add to concrete mixer & mix for another 2 minutes. ► Place the concrete or apply plaster, as needed. ► Cure the applied mortar or concrete as per good construction practices. 100 to 300 ml per 50 kg bag of cement. 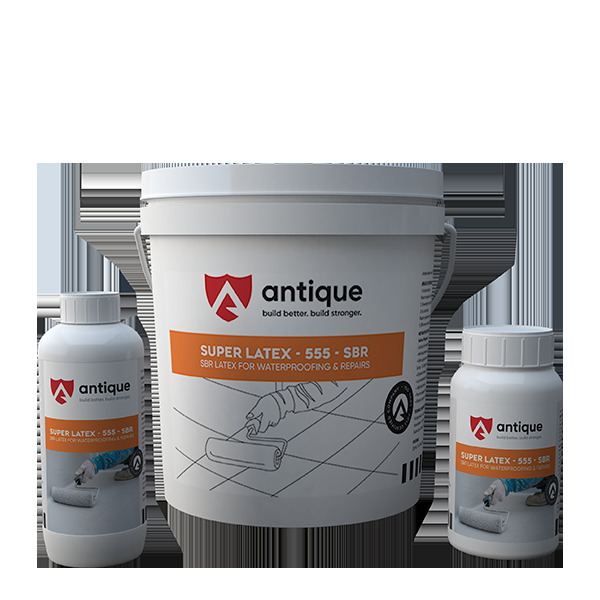 Antique Super Latex - 555 SBR is a highly potent and versatile SBR based liquid for high performance applications in waterproofing and repairs. Antique Seal - 115 is composed of viscous, polymer modified, mineral fillers, additives and water as a medium. It is used as a waterproof & weatherproof membrane for concealed roofs, walls of the building structures because it forms relatively thick film and bonds firmly to cementitious surfaces, protects wood & timber and prevents rust formation. 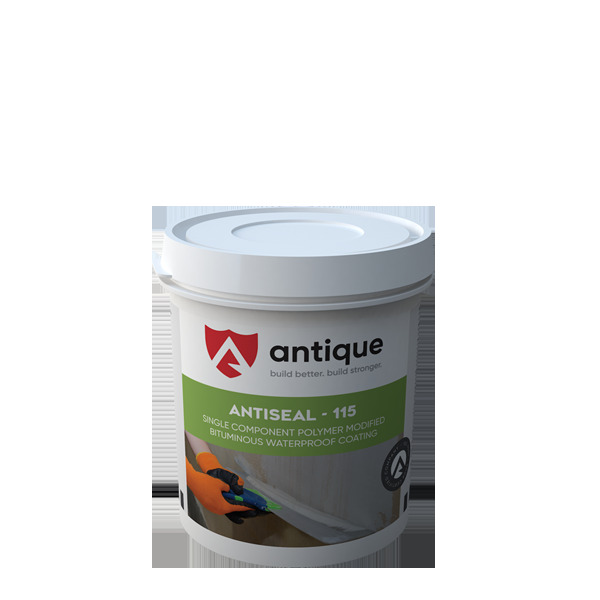 Waterproofing is achieved by applying Antique Seal - 115 by brush or mop. ► Waterproofing of concealed roofs, wall, water tank, swimming pool. ► Corrosion protection for concrete from sea water. ► Apply Three coats directly by brush or mop and dilute. ► Antique Seal - 115 with three part of water & one part of Antique Seal - 115 powder. ► Apply 2nd & 3rd coat in gapes of two or three hours. ► Shelf life is 12 months from the date of manufacturing in unopened condition. Store in a cool & dry place. Keep away from direct sun light. ► 1kg material gives coverage 10 to 15 sq. ft.(Three coats). ► Coverage may vary depending upon the texture and porosity of the surface. Antique New coat is a heavy duty terrace waterproof coating system, composed of specially developed highly elastic & resilient acrylic polymers, properly selected & graded fillers, lightfast & weather durable pigments, micro-fibres, additives & best quality as well. 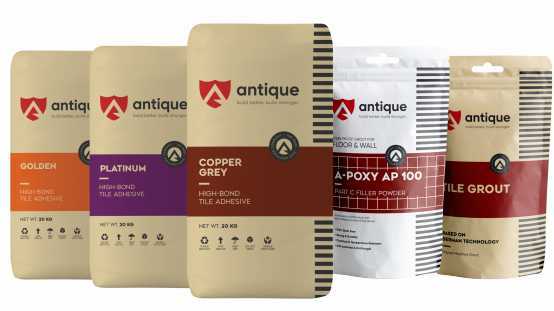 Antique New coat is a three-layer system with coats in different colours ensuring proper build-up of the thickness,making it a reliable waterproofing system. The coating performance can be enhanced for large roofs, by providing a fibre mesh that is embedded or sandwiched between the coats. ► Over existing cementitious waterproofing treatments like brickbat coba, * concrete screeds, acrylic coatings, etc. 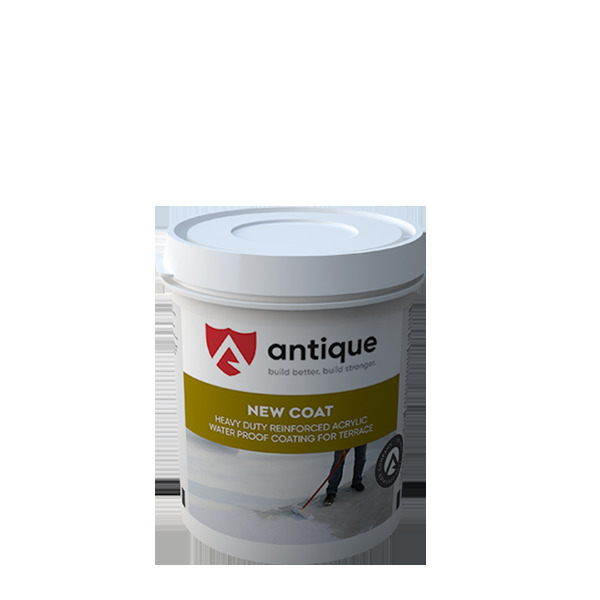 ► Apply the first coat of Antique New coat without any dilution at the rate of 2m per litre and allow it to dry befor taking up the second and third coats, the rate of application being the same. ► Drying time between coats will be 6 to 8 hrs. Shelf life is 12 months from the date of manufacturing in unopened condition. Store in a cool & dry place. Keep away from direct sun light. 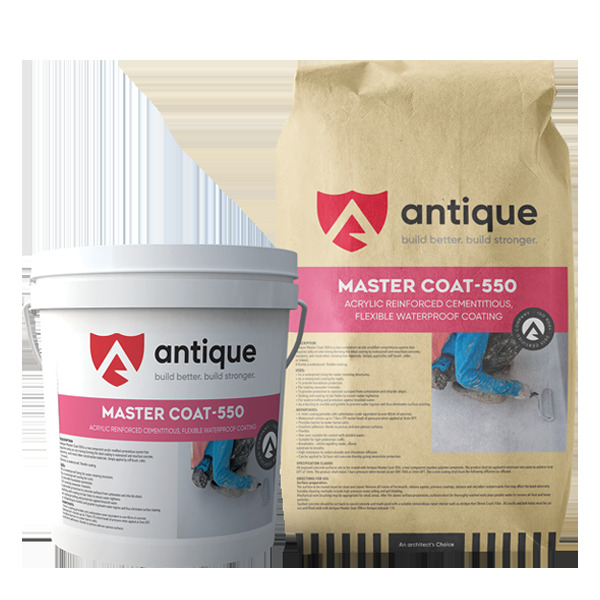 Master Coat 550 is a two component acrylic modified cementitious system that requires only on site mixing forming the ideal coating to waterproof and resurface concrete, masonry, and most other construction materials. Simply applied by stiff brush, roller, or trowel, it forms a waterproof flexible coating. ► As a waterproof lining for water retaining structures. ► As a waterproof coating for roofs. ► To provide foundation protection. ► For coating seawater channels. ► To provide protection to concrete surfaces from carbonationand chloride attack. ► Sealing and coating tie bar holes to ensure water tightness. ► For waterproofing and protection against brackish water. ► As a backing to marble and granite to prevent water ingress and thus eliminates surface staining. ► Master Coat can be spray applied but should afterwards bebrushed well into the substrate to ensure proper adhesion.To avoid thisapply first coat by brush and second by spray application. Finally finish with sponge to get a uniform aesthetic appearance. Each square meter will require minimum of 0.9 Kg of mixed material per layer. The coverage rate for each layer will be strongly influenced by the roughness of the substrate. 1.8 kg / ml in two coats to achieve 1 mm thickness. 10 kg Powder & 5 Kg Liquid Packs And In White And Grey Colors. A powerful, heavy duty, acid-based cleaner for ceramic & vitrified tile - wall & floor. The cleaner can be used as general purpose cleaner on other acidresistant surface. ► Remove efflorescence and most oxide stains. Do not use on surface that are not resistant to acid such as Natural stones,Terrazzo and CP Fittings. 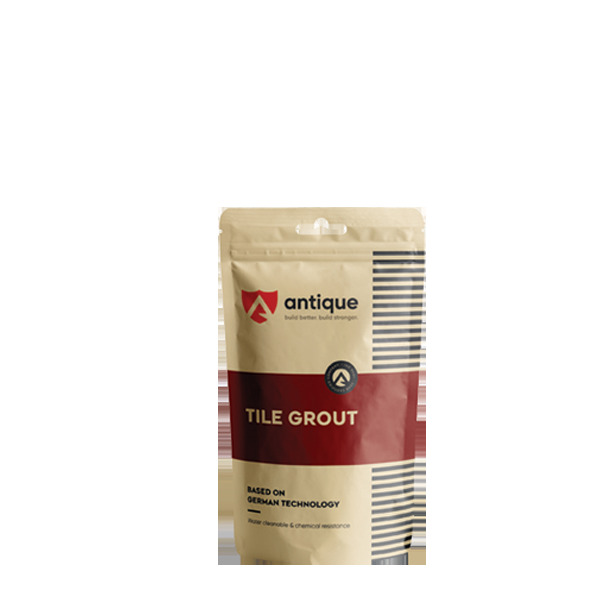 Grout Admix is specially designed Latex Admix to be used with Sanded & Unsanded Grout. It improves the performance of Portland cement grouts for all type of ceramic tile, brick, marble, natural stone and agglomerate stone installations. 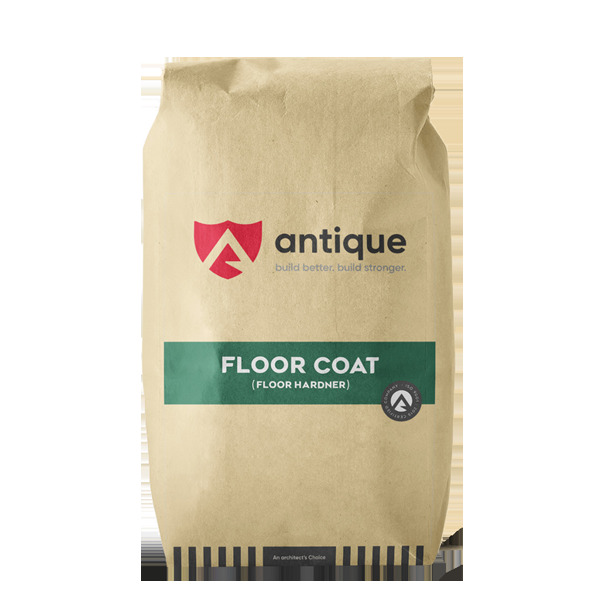 Antique Floor Coat is composed of best Quality ordinary Portland cement, properly selected & graded washed & dried aggregates, polymer & additives. It is used as a concrete floor hardener for residential, commercial & industrial floors, because it forms a very high abrasion resistance to fresh concrete floor as a monolithic surface. It improves the strength & impact resistance of concrete floor to allow heavy duty movements. ► Base of application - Pre-mixed powder, easy to dry shake & trowel. ► Strength - Excellent compressive strength increases wear resistance of concrete floors. ► Abrasion & impact resistance - high abrasion & impact resistance provides erosion resistance due to movements of vehicular traffic. Develops 80% more abrasion resistance than control concrete. ► Water absorption - Very low water absorption because it forms dense & low permeability substrate. Light duty application 2 kg/m2, medium duty application 3-5 2 kg/m2, heavy duty application 7 kg/m2.